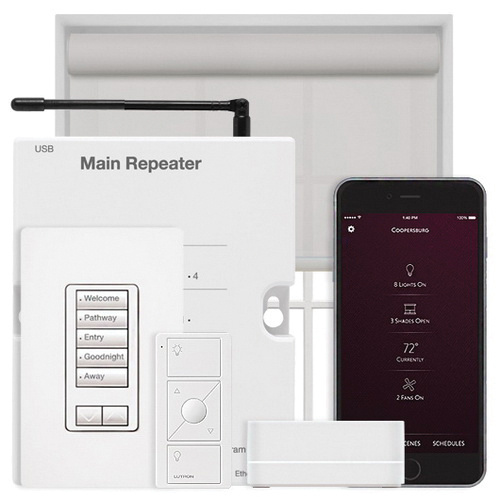 Lutron RadioRA®2 seeTouch® 6-button with raise/lower hybrid keypad switch, has single/multi-location installations with 1-Wire/neutral wire applications. With just one press of a keypad button, you can control the lights fade ON or OFF and the controls open/closing of shades/draperies to desired positions. Internal dimmer is programmed in such a way that keypad controls the operations. Switch meets UL, CSA, NOM and FCC standards.